What is the LAPD Written Test? THE LAPD written exam is unique in the U.S. in that it has you write three essays during a 90-minute examination session. This is called the Personal Qualifications Essay or PQE and it a comprehensive way of measuring applicant's judgement, personal qualities and communications skills in one exam. You can apply any time and take the essay exam any week you choose. Unfortunately, only 30% of applicants will pass this initial screening process, so it is critical for you to learn how to write a good essay. Is the LAXPD Written Test the Same as LAPD? The LAXPD written test is the same one used for LAPD applicants. The Los Angeles Airport Police written test will be given on the 2nd and 4th Wednesday of every month. The test is the same as the LAPD written exam. See details here. Applicants should prepare using the prep course recommended below. 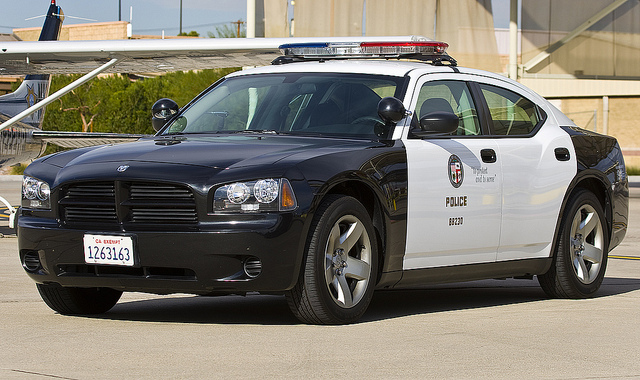 How to Pass the LAPD Written Test? In order to write a good essay for the PQE, you must know how to (a) outline your thoughts, (b) write clear sentences and paragraphs, (c) avoid spelling and grammar mistakes, and most important, (d) address the specific questions asked for by the essay situation you are given. You don't need fancy vocabulary or emotion appeal to impress the recruiters. Get yourself a prep course that addresses the LAPD PQE directly and enables you to submit your own writing samples for review and scoring. How to Prepare for the LAPD Written Test? The BEST prep course on the market is LAPD Test Prep.